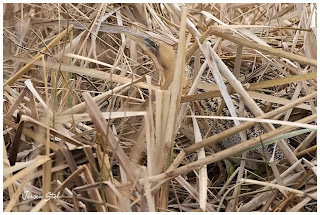 One of the most interesting Herons we have over here in The Netherlands is without a doubt the Bittern-Botauris stellaris. This specis is a true "master of camouflage" and are one of the most difficult to find when out in the field. This time of year we have had some snow and ice wich makes them leave their dense habitat and get out into the open or at least to the edges of their territory.